A fabulous family home with modern kitchen and bathrooms, internet, heat pump and insulation to keep it warm and cosy. Three spacious bedrooms (including one with ensuite). The beds are new and comfortable so expect to get a great night sleep. The 7th bed is a pull out trundler which fits in the twin room. Set in a beautiful garden there is a fantastic deck to enjoy all day sun (with a large gas BBQ and outdoor furniture). Plenty of off street parking for cars and boats. Five minute walk to the beach and 20 minutes to walk into town. Sticky Forest mountain bike park is just around the corner, as are many other walking and biking tracks. Note: Linen can be hired at a cost of $15 per person (regardless of the number of nights booked) . The fee covers the hire of sheets/pillow cases, bath mats, towels, face cloths and hand towels. Guests can bring their own linen if preferred. Pets can be bought onto the property provided they do not come inside the house and that any andquot;accidentsandquot; in the garden are tidied up. There is a dog kennel on the property for use at night or when renters are away from the house. Please notify me when you are making the booking that you will be bring a pet. Thank you Kate for another lovely break in your little slice of paradise. Such an easy, comfortable home to stay in. Perfect for our dog to be part of our adventure with the kennel in the backyard. This is our third stay and we hope to be back! Very kind. Thank you for being such considerate and tidy guests. Nice front and back yard, with plenty of parking. The interior was tidy with good amenities and nice attention to detail (pen and paper, rubbish bags, plunger for coffee, etc.). Comfy beds too! We really enjoyed our stay - well set up, comfortable house with a great outdoors area. We really enjoyed our stay, the house was perfect and had everything we needed to feel at home, and for a very reasonable price too. The deck and back lawn are nice and sheltered and perfect to get sometime outside. A short 900m walk to the lake or a several minute drive to town means everything is within easy access. 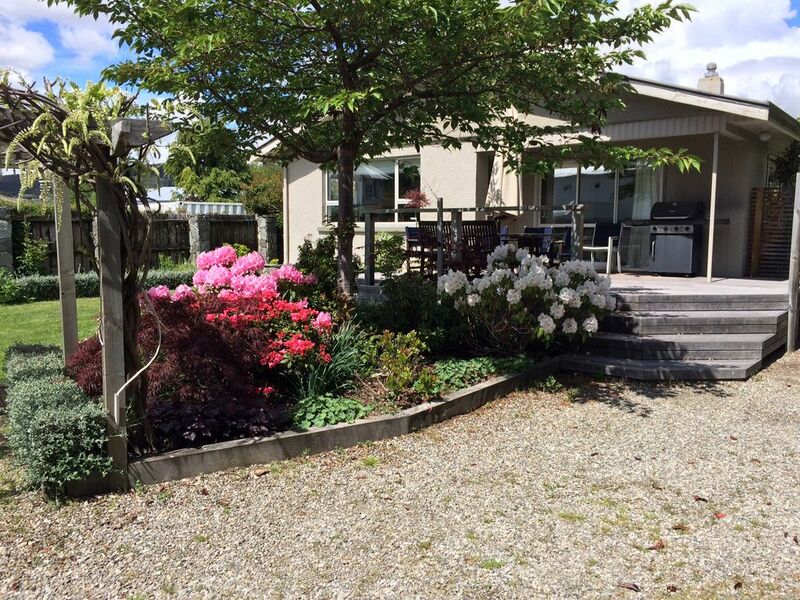 Will certainly look to stay here again on future trips to Wanaka, and would highly recommend this property to anyone. Lovely clean. warm and modern house for family. Great outdoor space and close to town and beaches. Thank you so much.